Wow. It has taken me all day to really digest this case. As mentioned in an earlier post the U.S. Supreme Court issued a ground-breaking decision today. In Padilla vs. Kentucky, the Supremes held that constitutionally effective counsel must provide their non-citizen clients immigration advice. How accurate and thorough the advice must be depends upon the particular facts of the case. Further, only defendants who can show prejudice caused by the lack of correct advice will state a claim for ineffective assistance of counsel. 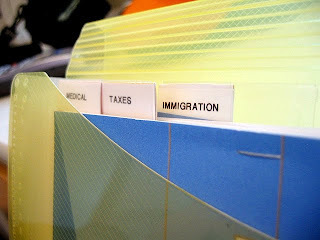 The case involved a long-term Lawful Permanent Resident (LPR or Permanent Resident Alien) who plead guilty to a drug offense that is an “aggravated felony” under the Immigration and Nationality Act. 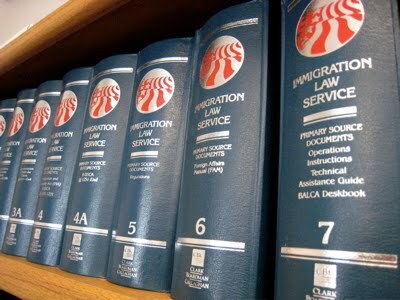 Any aggravated felony makes nearly every LPR deportable and statutorily ineligible for relief from deportation. In Padilla, the defendant specifically asked his lawyer if the conviction would affect his immigration status. The defense attorney told the defendant that deportation was unlikely due to the defendant’s long residence in the United States. Many attorneys following case law discussing the intersection of effective assistance of counsel, the collateral consequences doctrine and immigration law thought the Supremes would hold that only where a defense attorney provides affirmative misadvice, such as the case in Padilla, is ineffective. Oh no; the Court went further: “We conclude that advice regarding deportation is not categorically removed from the ambit of the Sixth Amendment Right to Counsel.” Strickland applies. The Court explains that there is a continuum of the accuracy and amount of immigration advice to be provided by effective counsel. Where the law is clear that the conviction will result in deportation, the advice must be clear. Where the law is unclear that a conviction will result in deportation, the Court suggests that advising the defendant that the criminal charge “may” present a risk to their immigration status would be sufficient. This is one of those situations where remaining silent is not the most prudent course of action--at least not for defense counsel. While I applaud the decision, I do not underestimate the difficulty that a lawyer unfamiliar with immigration law will have determining if a particular client’s conviction will definitely cause deportation or just make deportation possible. Nevertheless, there are untold numbers of people who plead guilty to offenses that guaranteed their deportation on the advice of counsel. Having had to explain the difference between criminal and immigration law to numerous parents, wives and children of people who unknowingly agreed to their own permanent banishment from the U.S., I look forward to fewer of these conversations. The Court issued its opinion in Padilla v. Kentucky this morning. Padilla alleged in a post-conviction petition that his counsel "not only failed to advise him of [the immigration] consequence[s of pleading guilty] prior to his entering the plea, but also told him that he 'did not have to worry about immigration status since he had been in the country so long.'" Padilla alleged that he had relied on this erroneous advice when he pleaded guilty. He also alleged that he would have gone to trial had he received correct advice from his attorney. The question before the Court was "whether, as a matter of federal law, Padilla’s counsel had an obligation to advise him that the offense to which he was pleading guilty would result in his removal from this country." The Court thus found the first prong of the Strickland v. Washington test for ineffective assistance of counsel, assuming Padilla's allegations were true. It then remanded the case to determine whether Padilla was prejudiced by counsel's deficient performance. The Court rejected several constitutional challenges to the Wendell juvenile curfew ordinance today. Doe argued that the ordinance was void for vagueness, overbroad, and violative of both equal protection and of the fundamental right of a parent to direct the upbringing of his or her child. The magistrate and district court both rejected the constitutional challenges, but the Court of Appeals found that the Ordinance was unconstitutionally overbroad. There was some language in the original opinion that suggested (1) that the district court could not consider good conduct while incarcerated as grounds in support of a sentence reduction, and (2) that the information that could properly be considered was had to be something that could serve “as an underlying basis for the sentence.” This could be read to mean that the new and additional information submitted in support of a Rule 35 motion had to be available but not presented at the time of sentencing. Please join me in raising a cerveza or, if you prefer, a mezcal, to toast SCOIDBlog contributor and good guy JD Hallin who is getting married on Saturday. The bride to be is the lovely Elizabeth Carter formerly of Ketchum, Idaho. And take a look at the hotel in Cabo San Lucas where the wedding will be. Nicely done, JD. Congratulations Elizabeth and JD and best wishes from SCOIDBlog. Congratulations to Amil Myshin on being inducted as a Fellow of the American College of Trial Lawyers! Amil is one of only four Idaho criminal defense lawyer in the College (the esteemed Fred Hoopes, Keith Roark and David Nevin are the other three). Amil has been with the Ada County Public Defenders since 1985. Today the Court affirmed the dismissal of a successive post-conviction petition in a capital case finding that it was barred under I.C. § 19-2719. Pizzuto v. State, http://www.isc.idaho.gov/opinions/State%20v.pdf. Here, the Court found that none of Pizzuto's claims fell within the exception to the 42 day rule. It also found that 19-2719 was constitutional. Abdullah al-Kidd sued former U.S. Attorney General John Ashcroft and others charging that his civil rights were violated by his arrest without probable cause on a material witness warrant. Judge Lodge let the lawsuit proceed, rejecting Mr. Ashcroft's claim that he was immune to such lawsuits. The Ninth Circuit affirmed and, yesterday, the Court denied the defendant's petition for rehearing en banc. "The facts alleged in al-Kidd’s complaint are chilling, and serve as a cautionary tale to law-abiding citizens of the United States who fear the excesses of a powerful national government, as did many members of the Founding Generation. Al-Kidd, born Lavoni T. Kidd, is a United States citizen, born in Wichita, Kansas, and raised in Seattle, Washington. He graduated from the University of Idaho, where he was a highly regarded running back on the university’s football team. He was married and had two young children. While at the university, al-Kidd converted to Islam and changed his name to Abdullah al-Kidd. In the spring and summer of 2002, al-Kidd became a target of FBI surveillance conducted as part of a broad anti-terrorism investigation, aimed at Arab and Muslim men. Al-Kidd cooperated with the FBI on several occasions when FBI agents asked to interview him. Previous to this time, Ashcroft and others operating at his direction, or in concert with him, had decided to undertake a novel use of 18 U.S.C. § 3144, the material witness statute." "Al-Kidd was arrested more than a year before the Al-Hussayen trial began. In their interviews with al-Kidd, the FBI never suggested, let alone demanded, that al-Kidd appear as a witness in the Al-Hussayen trial. While in custody, al-Kidd was repeatedly questioned about matters unrelated to Al-Hussayen’s alleged visa violations or false statements, but was never given a Miranda warning. Al-Kidd was never called as a witness in the Al-Hussayen trial or in any other criminal proceeding despite his assurances that he would be willing to be a witness. Importantly, al-Kidd was never charged with the commission of any crime, even though [FBI Director] Mueller had boasted to Congress that the government had at that point in time charged over 200 'suspected terrorists' with crimes, and named al-Kidd individually, as well as four other persons who had been criminally charged with terrorism-related offenses, as evidence of the government’s recent successes." 277 U.S. 438, 572-73 (1928 ) (Brandeis, J., dissenting)." The Court issued opinions in another two criminal cases today. The first is an opinion upon rehearing in State v. Pina, http://www.isc.idaho.gov/opinions/State%20v%20Pina%20SUB.pdf. This opinion replaces the one issued last year. (See SCOIDBlog, July 8, 2009, "Another Murder Conviction Vacated.") The substitute opinion also vacates the conviction. The majority (with Justice W. Jones writing with Justice J. Jones and the Chief Justice concurring) holds that Idaho follows the agency theory of felony-murder. "Under the agency theory, the felony-murder rule is only applied to actors who are acting in concert in furtherance of a common plan or scheme to commit the underlying felony and one of them causes the death during the perpetration of the felony, regardless of who actually fired the fatal shot." The district court, however, instructed the jury that it could find Mr. Pina guilty even if he was not acting in concert with the person who killed the victim. The Court found this was reversible error. Congratulations (again) to Sara Thomas of SAPD! The other case, Eby v. State, http://www.isc.idaho.gov/opinions/Eby%20v.%20State,%2036568.pdf, presented a narrow issue: May a post-conviction petitioner file a IRCP 60(b) motion to revive a petition dismissed for inactivity under IRCP 40(c)? The Court held that it may, only in post-conviction cases, and then only upon a "showing of unique and compelling circumstances justifying relief." The Court, noting that the dismissal was only granted "[a]fter years of shocking and disgraceful neglect of his case by a series of attorneys appointed to represent Daniel Lee Eby" remanded the "case to the district court for consideration of whether the facts presented by Eby constitute grounds for relief under I.R.C.P. 60(b)(6)." This is a case which I worked on with my wife, Deborah Whipple. Thank you, Deb, for the excellent work! First, the Supreme Court adopts the retroactivity rules set out in Teague v. Lane and then applies those rules retroactively to hold that Ring v. Arizona does not apply retroactively to death sentenced petitioners. In re: Rhoades/McKinney/ Pizzuto/Card/Hairston v. State, http://www.isc.idaho.gov/opinions/Rhoades%20etc.%20v.%20State,%2035187.pdf. Also, the Court affirmed the summary dismissal of a post-conviction petition. First, the Court held that although the district court improperly failed to provide Ridgley with notice of the grounds upon which Ridgley’s first five claims of ineffective assistance of counsel were dismissed, the error was harmless. It then held that the district court properly dismissed Ridgley’s claim of ineffective assistance of counsel for failure to determine Ridgley’s competence to enter a plea of guilty. It noted that "Ridgley did not present an expert's opinion that he was not competent, as defined by I.C. § 18-210, at the time he pled guilty." 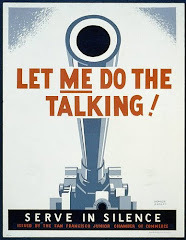 And then concluded that "[i]n the absence of admissible evidence showing a reasonable probability that he was incompetent at the time of his plea of guilty, we conclude that Ridgley failed to demonstrate a genuine issue of material fact as to his claim that his attorney's deficient performance resulted in prejudice." To riff off Elvis Costello: "Oh I used to be disgusted and now I try to be amused." But since I read this here new case, you know, I got an old-time case of the blues. The second opinion is a parental termination case where dad pleaded guilty to felony injury to child (not one of his children, but someone -- presumably a police officer -- pretending to be a twelve-year old in an internet chatroom) in 2005 and was placed on probation. During probation, father was prevented from having contact with his children by SANE or the mother or both. In 2008, mother remarried and three days later filed a petition for termination of father's parental rights. The magistrate court dismissed the petition finding that the mother had not shown that the father willfully abandoned his children. The Supreme Court affirmed finding that "[t]he magistrate's finding that the Petitioners failed to prove by clear and convincing evidence that Father had willfully failed to maintain a normal parental relationship with the children is supported by substantial and competent evidence." Here's the part that may be useful to criminal defense lawyers. The Court finds that someone can't willfully do something (in this case abandon his children) if he didn't have the ability to do otherwise. It wrote: "In order to prove that Father had abandoned the children, Petitioners had to prove by clear and convincing evidence that he had 'willfully failed to maintain a normal parental relationship' with the children. For one to willfully fail to do something, he or she must have the ability to do it." (Citations and emphasis omitted.) This is good language to use in your next probation violation where your client wants to comply with the terms of probation but just can't get it done due to outside forces. The last Supreme Court opinion today is State v. Munoz. http://www.isc.idaho.gov/opinions/State%20v.%20Munoz%20Opinion.pdf. The Supreme Court affirms the denial of a motion to suppress, but does not address the central question in the Court of Appeals opinion, i.e., What is a court to do when a police officer testifies to two different versions of the same event? The district court did not pick between the two versions, reasoning that under either version the evidence should not be suppressed. (This resolution ignores the possibility of a third choice, i.e., that neither version is true.) The Court of Appeals found that neither version was credible as the differences in testimony were inconsistent, irreconcilable and unexplained and found the state did not carry its burden of proving an exception to the warrant requirement. (See March 28, 2009 SCOIDBlog.) The Supreme Court picked one of the two versions and affirmed because there was substantial evidence to support that version. It notes: "Decisions regarding the credibility of witnesses, weight to be given to conflicting evidence, and factual inferences to be drawn are also within the discretion of the trial court." This analysis, it seems to me, begs the question. First, the district court didn't pick one version over the other. It found that under either version the search was proper. So the district court never made a credibility determination and there is no credibility determination for the Supreme Court to defer to. And, under the second version, the search was improper under Arizona v. Gant. So it matters which version, if either, is believed. Although neither version is worth much in my view, the Court should have let the district court make the credibility call. Our Supreme Court hasn't issued an opinion for a few weeks now. While we wait here's an interesting profile of Justice Stevens on the eve of his anticipated retirement by Jeffrey Toobin. 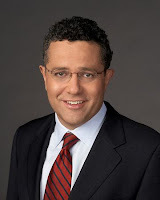 And here's a link to an interview of Toobin on the NPR program Fresh Air. Defense attorney Clark Peterson has been selected to be the new Kootenai County Magistrate Judge. Clark is a partner at Amendola & Doty in Coeur d'Alene and was previously a Chief Deputy District Attorney in Las Vegas. Clark graduated at the top of his class at the Loyola (Los Angeles) School of Law and was an editor of the law review there. Head over to the Sun Valley Inn for the Idaho Association of Criminal Defense Lawyers Winter Seminar. The main focus of the conference is on how to litigate false confession cases. This is an important topic as we are learning through the DNA exoneration cases that actually innocent people are being manipulated by law enforcement into falsely confessing. Several experts will speak on that topic. There will also be an ethics session and updates on recent Idaho caselaw and pending legislation. The Winter Seminar is also a great place to socialize with your fellow criminal defense lawyers. I can't wait to see who wins the Cockroach Award this year! See you there.